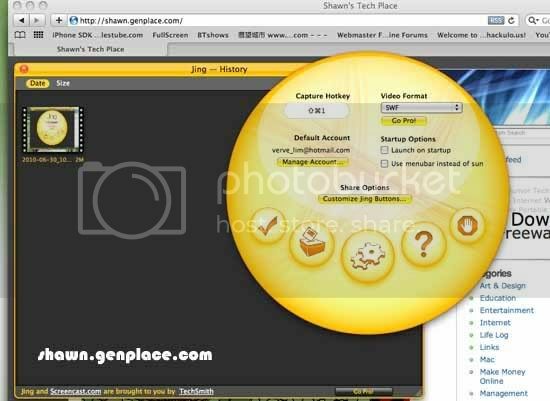 Jing is a freeware for Mac to capture and record anything you can see on your screen, along with audio from a compatible source such as internal microphone or portable microphone. Beside, it is user-friendly software that you can easily capture a window, panel or region by just click and drag. On the other hands, user can easily to make a point by using basic text tool for explanation or emphasize on certain scene. How to save screenshot of a Web Page as a thumbnail? Next Post How to combine mp3 files into a single file?